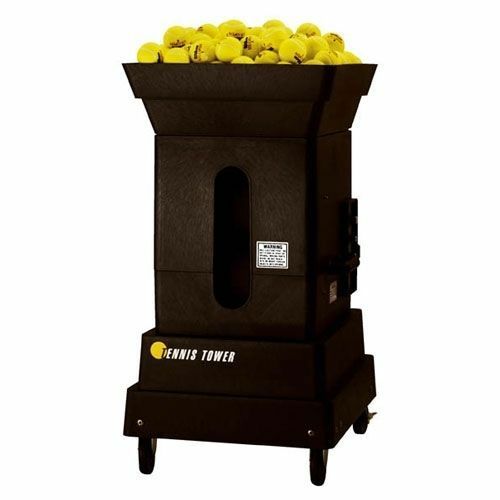 The Sports Tutor Tennis Tower Competitor Tennis Ball Machine is a more sophisticated mid-range machine from Sports Tutor. 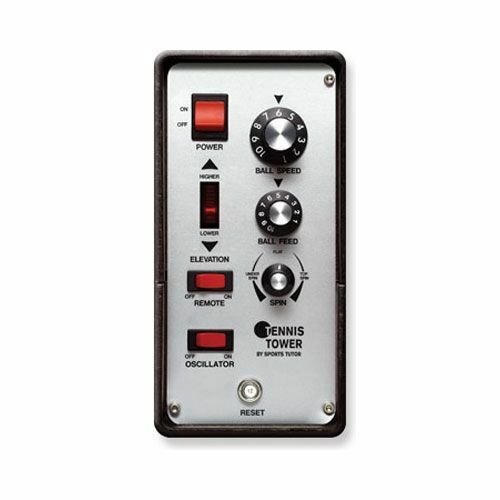 The machine has a very large ball capacity which ensures demanding workouts and its intuitive control panel design means you don't even need to read the instruction manual. The Tennis Tower displays the elevation setting right on the control panel. A simple 10-segment display shows the elevation setting so you can set it to your preferred spot before firing any balls. The machine is supplied with Wilson Team W tennis balls (6 dozen) and Gamma 75 ball basket. for submitting product information about Sports Tutor Tennis Tower Competitor Tennis Ball Machine We aim to answer all questions within 2-3 days. for submitting product information about Sports Tutor Tennis Tower Competitor Tennis Ball Machine. We aim to answer all questions within 2-3 days. If you provided your name and email address, we will email you as soon as the answer is published. A versatile machine. It would be a great deal better if it gave an audible warning, or flashed a light, just before each ball is shot. for submitting product review about Sports Tutor Tennis Tower Competitor Tennis Ball Machine.